A huge surprise in a Parliamentary committee hearing today as a Conservative member was the first to break with the spirit of "Decorum Day" on the hill. All parties agreed in advance to support Equal Voice’s Decorum Day but agreements mean little to members of Canada's teaparty north. Apparently angered by Michael Ignatieff's private members bill to enshrine pay equity as a human right Candice Hoeppner attacked Mr. Ignatieff because she saw his bill as undoing one of the many untenable bits of legislation that were crammed into the omnibus budget bill C-9 which put pay equity on the bargaining table. As Mr. Ignatieff tried to explain that going to the polls every time you disagreed with the government was not a serious option he was interrupted repeatedly by Hoeppner who had to be cautioned by the committee chair to let the Liberal Leader finish his answers. Ms. Hoeppner fresh off the loss of her own private members bill that would have scrapped the long-gun registry -- a bill women's groups across the country uniformly wanted to stay in place -- doubled down on not supporting equal pay for women by adding that while recognizing that many women fall behind, she said she likes to promote women who are successful. So if you're falling behind while trying to make ends meet or being screwed over by your employer, you are of no interest to her or her colleagues and you can expect no protection of your rights from the Conservative government. Dear Candy Hoeppner and her mullet. 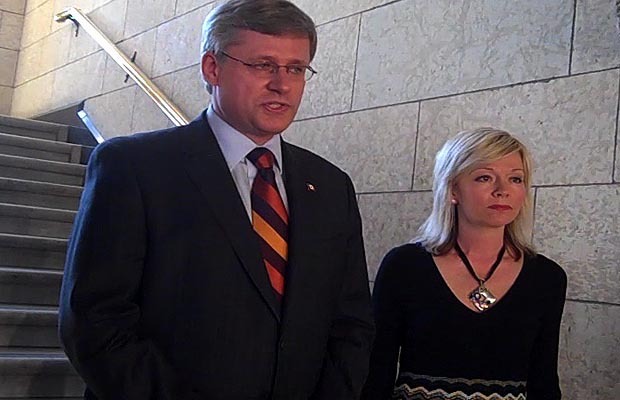 Trying to attract the redneck boys in Harpercon cabinet. Between her anti-gun control stand, agreement with Super Vic "lock 'em up" Toews and the other ol' white boys that conjugal violence ain't a crime, and now in disagreement with pay equity and yet, can she still get a date? Perhaps she should ask Helena Guergis what kind of thanks she gets. Hey ck! Thanks for dropping by. I think she's vying to be Canada's answer to sarah palin.